This very unusual vase appears to be modelled on a cornucopia, the fabled horn of plenty. 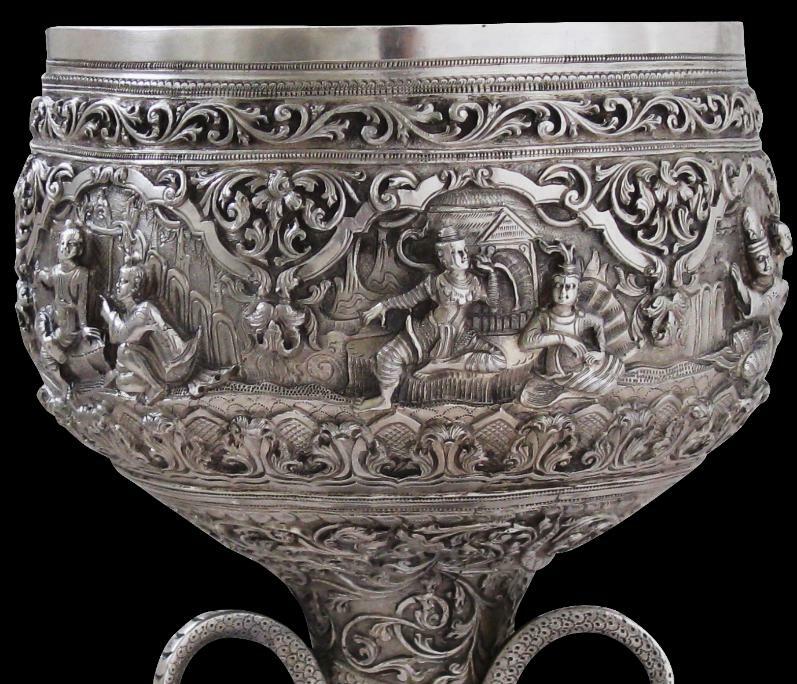 Certainly, the form has not previously been encountered in Burmese silver. 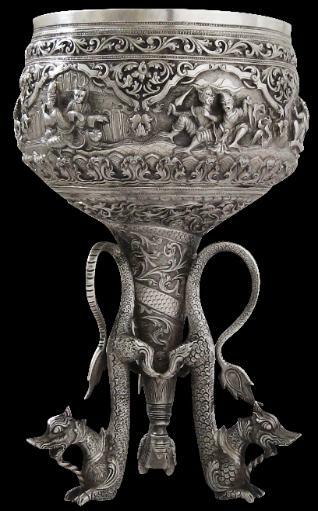 The vase is attached to three cast and engraved Burmese mythical lion-dragons called to-naya which act as stands for the vase. The vase is very finely repoussed and chased with fine foliage and floral borders and six scenes probably drawn from Burmese folklore including one which depicts a Burmese king and perhaps a queen. The condition of this vase is exceptional; there is almost no sign of wear from polishing and yet the form is early twentieth century or earlier. The vase was sourced from the UK antiques market and almost certainly has been in the UK since the colonial era. Fraser-Lu, S., Silverware of South-East Asia, Oxford University Press, 1989.